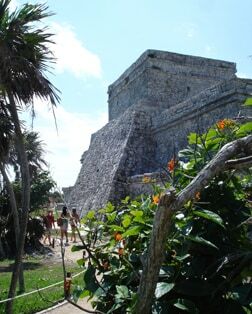 Extensive ruins of the ancient Mayan civilization are scattered across the region, including Coba and the renowned coastal site of Tulum on mainland Mexico. Dig your toes into the white sands of Cozumel's coast, where aquamarine waters beckon you to the breathtaking shores of Playa Mia Grand Beach Park and secluded Passion Island Beach. The ecological/archeological theme park of X-Caret is one of the most popular attractions on the Yucatan Peninsula. Among its great treasures are underground rivers, a replica of a Mayan village, and a Mexican cultural show. Alabaster-white beaches, gentle surf, coral reefs and a slow lifestyle make Playa del Carmen the place for backpackers, archeological buffs and New Age sun worshippers. This park is home to a world-renowned ecosystem and natural aquarium with more than 60 species of tropical fish, crustaceans and corals and the only botanical garden on the island. It is no secret that Cozumel excels with clear waters and spectacular reefs. The museum houses two floors of exhibits. El Cedral is a small century-old ruin, the island's first settlement founded by Spanish explorers in 1518. Refresh your spirit and enjoy sailing, fishing, and other water sports.